LLOYD BLACKPOOL. BMW Alpina Gear Knob Emblem. LLOYD BLACKPOOL. E90 D3 ALPINA. ALPINA Keychains. 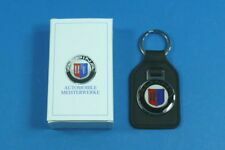 original BMW Alpina Keychains. Tuning parts around Audi, BMW, Mazda. You will find our bank details incl. Condition: New. You will go directly to the checkout. Your opinion is important to us! BMW 3 Series E21 / E30 / E36 / E46 / E90 / E91 / E92 / E93 / F30 / F31. original Alpina shift knob of leather for all BMW except with automatic. quality gear knob from the Alpina range of accessories suitable for. BMW 3 Series E21 / E30 / E36 / E46 / E90 / E91 / E92 / E93 / F30 / F31. original Alpina shift knob of wood satin for all BMW except with automatic. quality gear knob from the Alpina range of accessories suitable for. Original ALPINA Alpina or MOMO Horn button steering wheel. Tuning parts around Audi, BMW, Mazda. Browse through our range of products. You will find our bank details incl. You will go directly to the checkout. E39 Alpina leather steering wheel 385mm Used part removed carefully, as photographed. Buyer must carefully check parts numbers against what is required. Please message us with any queries regarding shipping worldwide before selecting buy now. We specialise in used genuine BMW parts. We offer competitive rates on uk & worldwide shipping. Please contact us by text / WhatsApp on ‪‪07568 081 919‬‬ for any other parts you may need or queries with worldwide shipping. Thank you for looking. BMW 7 Series E23 / E32 / E38 / E65 / E66 / F01 / F02 / F03 / F04. 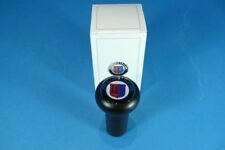 original Alpina shift knob of wood high gloss for all BMW except with automatic. quality gear knob from the Alpina range of accessories suitable for. BMW 5 Series E12 / E28 / E34 / E39 / E60 / E61 / F07 / F10 / F11. original Alpina shift knob of leather for all BMW except with automatic. quality gear knob from the Alpina range of accessories suitable for. BMW 7 Series E23 / E32 / E38 / E65 / E66 / F01 / F02 / F03 / F04. original Alpina shift knob of wood satin for all BMW except with automatic. quality gear knob from the Alpina range of accessories suitable for. BMW 3 Series E21 / E30 / E36 / E46 / E90 / E91 / E92 / E93 / F30 / F31. original Alpina shift knob of wood high gloss for all BMW except with automatic. quality gear knob from the Alpina range of accessories suitable for. BMW 5 Series E12 / E28 / E34 / E39 / E60 / E61 / F07 / F10 / F11. original Alpina shift knob of wood high gloss for all BMW except with automatic. quality gear knob from the Alpina range of accessories suitable for. BMW 5 Series E12 / E28 / E34 / E39 / E60 / E61 / F07 / F10 / F11. original Alpina shift knob of wood satin for all BMW except with automatic. quality gear knob from the Alpina range of accessories suitable for. BMW 1 Series E81 / E82 / E87 / E88 / F20 / F21. 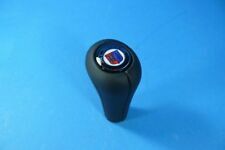 original Alpina shift knob of leather for all BMW except with automatic. quality gear knob from the Alpina range of accessories suitable for. Pull easy installation, simple old and new shift knob - Slip done. Original ALPINA Alpina or MOMO Horn button steering wheel. Browse through our range of products. You will find our bank details incl. You will go directly to the checkout. Condition: New. Your opinion is important to us! BMW 1 Series E81 / E82 / E87 / E88 / F20 / F21. original Alpina shift knob of wood high gloss for all BMW except with automatic. quality gear knob from the Alpina range of accessories suitable for. Pull easy installation, simple old and new shift knob - Slip done. BMW 6 Series E24 / E63 / E64 / F06 / F12 / F13. original Alpina shift knob of wood high gloss for all BMW except with automatic. quality gear knob from the Alpina range of accessories suitable for. Pull easy installation, simple old and new shift knob - Slip done. BMW 6 Series E24 / E63 / E64 / F06 / F12 / F13. original Alpina shift knob of leather for all BMW except with automatic. quality gear knob from the Alpina range of accessories suitable for. Pull easy installation, simple old and new shift knob - Slip done. BMW 1 Series E81 / E82 / E87 / E88 / F20 / F21. original Alpina shift knob of wood satin for all BMW except with automatic. quality gear knob from the Alpina range of accessories suitable for. Pull easy installation, simple old and new shift knob - Slip done. BMW 7 Series E23 / E32 / E38 / E65 / E66 / F01 / F02 / F03 / F04. original Alpina shift knob of leather for all BMW except with automatic. quality gear knob from the Alpina range of accessories suitable for.